Quite the Opportunity for a Nice Home in Quiet Neighborhood and at a Great Price! Newly Installed Roof with Transferable Warranty, Freshly Painted Interior, Newly Installed Stainless Steel Frigidaire Kitchen Appliances, Newly Installed Wood Laminate Floors. Large Great Room, Formal Dining, All Bedrooms Up. Professional Cleaned and Carpets Shampooed. 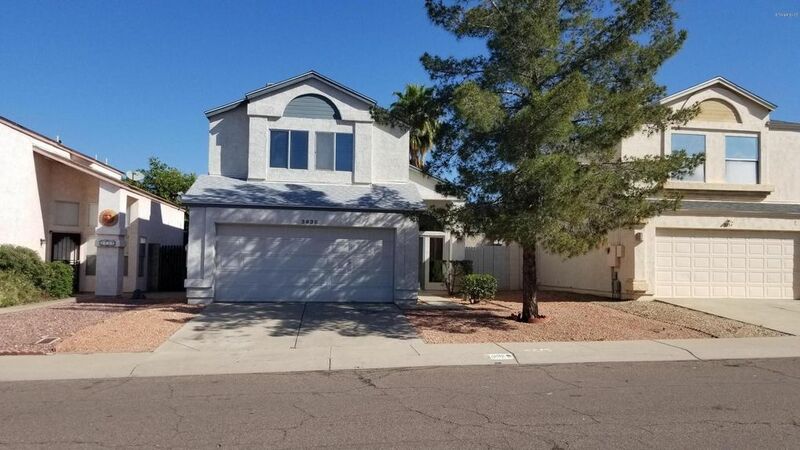 Close to Glendale Schools, Parks, Norterra Shopping, Golf, Water Park, Thunderbird Mountain Hiking Trails, Interstate 17 & Much More! Don't Wait!! Directions: South of Happy Valley Rd on 39th Ave, West on Whispering Wind to Property.